Fiat Chrysler (FCA) is one of the last automakers to embrace electric cars, but the company has announced it's ready to plug in. As part of a newly-unveiled five-year plan, FCA said it will introduce 30 hybrid or electric vehicle models in the next four years. The company has committed over $10 billion to the effort. But FCA is not ready to fully commit to an all-electric future, as Volkswagen and some other automakers have. In fact, company CEO Sergio Marchionne says the majority of the company's vehicles will continue to rely on the internal combustion engine. In 2017, Volkswagen announced that it was going all-in on electric vehicles, committing to an all-electric line-up by 2030. It's a big change for VW, which until recently was known for "clean diesel" technology. But revelations that the company had installed software in its cars to make the emissions appear lower during tests gave it, and the technology, a black eye. VW announced its shift to electric vehicles not long afterward. Earlier this year, Infiniti announced it will go all-electric in 2021. As part of the company’s five-year business plan, all new Infiniti models launched after 2021 -- with the exception of a handful of SUVs -- will either be all-electric vehicles or will rely on the parent company’s new range-extending electric motor-powered technology called ePower. Mercedes-Benz said it will offer electric versions of its entire fleet by 2022. FCA says it is moving to electric vehicles for highly practical reasons. It says selling more electric vehicles will help it meet U.S. emissions standards. Its cars that have no emissions will make up for its cars that burn gasoline and diesel fuel. Additionally, not having electric vehicles could keep it out of a growing number of important markets. This city of Paris plans to ban gasoline-powered cars within a few years, and a number of cities and countries are considering similar steps. Despite carmakers' embrace to electric vehicles, consumers appear to have their doubts. Only 26 percent of consumers say they're interested in purchasing an electric car, according to a AAA survey released last month. 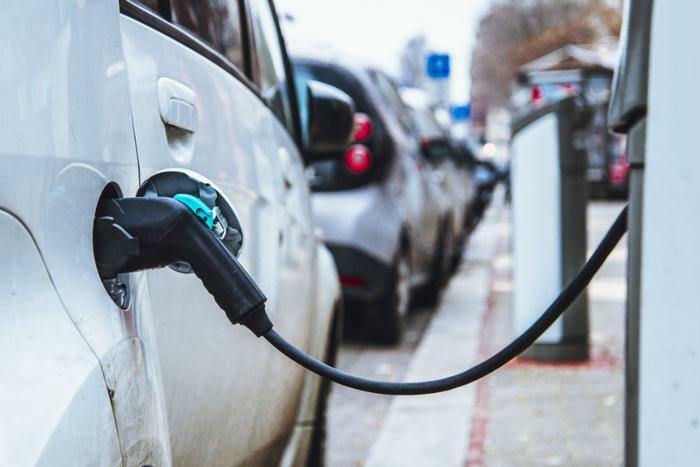 The Association of Global Automakers, an industry trade group, said an advertising and promotion campaign will be necessary to persuade consumers to buy an electric vehicle. Without it, the group says carmakers could soon be turning out vehicles that sit on dealers' lots instead of consumers' driveways.